Dry eyes are no joke and should not be ignored. Ever get dry eyes when you’ve been working hard for four or five hours in front of your computer screen? Your eyes feel itchy and achy, and it hurts to squeeze your eyelids shut. You may have Dry Eye Syndrome. When you open your eyelids and try to move the eyeballs around, that hurts as well. If this is happening to you, it may be time to see an optometrist to test your eyes and vision level, so you can rule out other health issues that may be occurring. Yet, you must still finish that 100-page report you are working on, or that big database project you have been working on for days. If you use a computer for six hours or more per day, that is one major reason why you are having trouble with dry eyes and associated muscle pain. However, your computer screen is not the only reason for why you might get dry eyes. Initially, you must solve what is causing your dry eye symptoms and then apply the right treatments. Your first step is to get a thorough eye exam as soon as possible to know what is happening to your eyes and what to do next. 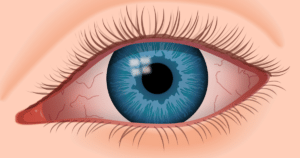 For now, let us look at what Dry Eye Syndrome is. Dry Eye Syndrome occurs when there is not enough lubrication of the eyes. This usually occurs in both eyes at the same time and can cause mild to severe irritation due to a lack of natural tear production. There can be many reasons for why you get dry eyes, and you may have to become a detective and try different solutions until you find one that does the job. We always suggest that you get an eye exam as a starting point, just to be sure about the health of your eyes. If you often rub your eyes because they itch and are uncomfortable, then stop right now! You can further damage the outer surface of your eyes, leading to other problems, so avoid rubbing your eyes. Your eyelids may feel tired and you do not blink as often as you normally would (especially while working on the computer or while reading). Blinking is an unconscious act that you normally do not think about. But when you have dry eyes, you may need to consciously blink faster and more often to keep the surface of your eyes lubricated. The eye is made up of many parts, starting with three tear layers that cover the front of the eye: an outer oily layer, the middle watery layer, and the inner mucus layer. These three layers produce the tears your eyes need to remain lubricated. When they are chemically unbalanced, then you will get dry eye symptoms. Chemical imbalance in tears can also be symptomatic of a health issue such as diabetes, thyroid problems, rheumatoid arthritis, allergies, and the medications taken to help with these problems. Your dry eye symptoms can also be due to allergies, and if you take medication for that, it may dry you out enough to also affect your tear production capabilities. Another pointer is that your tear ducts (at the inner corner of your eyes) also drain back into your sinuses. 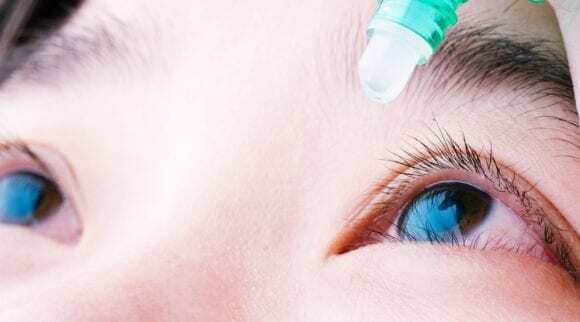 If you use any nasal inhalers or sprays, you may also be drying your eyes even further. Antihistamines and other allergy medications can also contribute to drying eyes. Aging can also reduce visual stability, particularly after the age of 65 years. Drinking more water and adding in some of the tips suggested in the next section may help with vision issues, particularly when looking at digital devices for several hours. Women who go through hormone changes during different stages of their lives such as pregnancy, taking oral contraceptives, and menopause, are more at risk for dry eye symptoms too. According to Schepens Eye Research Institute, six million women today have severe Dry Eye Syndrome, along with three million men. Another 20 to 30 million people have mild cases of Dry Eye Syndrome, and many of these are undiagnosed. While Dry Eye Syndrome has been typically a condition in older people due to normal changing conditions of the aging body, younger people are more at risk today than ever before. To some extent, dry eye issues can be blamed on digital screens, especially if a person spends long hours staring at the screen for work, watching movies or television, playing video games, or doing research for school papers. Today’s adult “sit-down” population spends far less time outside playing sports, walking from place to place, or engaging in any exercise, which exposes them to sunshine, fresh air, and better health overall. Staying inside most of the time during the day in front of a computer means people have a greater chance of being exposed to environmentally-based allergies like dust, chemicals, perfumes, and other triggers. In a research study by A. Galor et al. (2015), published in the Eye Journal, the official journal for the Royal College of Ophthalmologists, the results showed that Dry Eye Syndrome reduces quality of life, leading to depression because of the effects on social, physical, and mental functions. Activities affected are working one’s job or participating in a cherished hobby, the ability to read for any length of time, watching television, and a reduction in the ability to drive. This is a reduction in freedom of movement and the ability to engage in quality of life, which would normally sustain a person in his or her pursuit of daily happiness. When people are limited from those activities they took for granted in earlier years, this can be problematic, particularly if the patient’s environment is not supportive to the person’s recovery. For the elderly, or even those over the age of 50, this is seen in a lack of support from busy family members or caregivers at rest homes and assisted living situations. For people under the age of 50, patients find they cannot work productively when they have so much trouble with their vision, and this can also cause depression, anxiety of losing one’s job, and a myriad of other mental and physical outcomes. 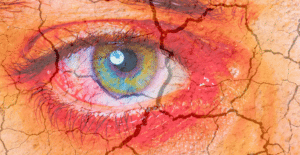 When considering how to combat and treat Dry Eye Syndrome, the crux of the problem is generally seen in two ways: either the patient is unable to produce enough tears, or the evaporative process after tears are produced is out of sync. Both categories fall under tear dysfunction, which is viewed as the leading cause of dry eye symptoms. The pain associated with Dry Eye Syndrome can also be difficult to live with, especially when you are compelled to work in front of a computer screen but are having trouble doing so for long hours at a time. 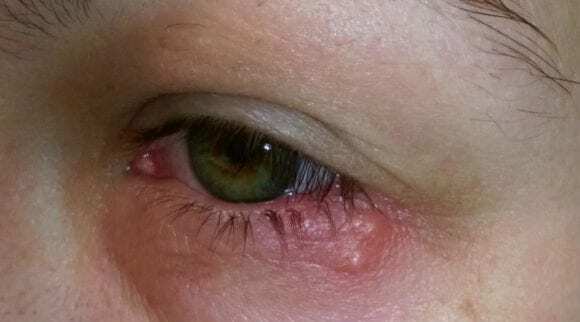 Pain from dry eyes is viewed as being on a surface level where there is infection from outside sources, inflammation, possible damage from an object that got into the eye, lesions, and abnormal environmental conditions. Pain can be due to degrading eye receptors or sensory neurons that regulate how light and surrounding temperature is processed. The receptor channel TRPV1, as presented in the study, handles detecting heat, presence of chemicals, and abnormal pH levels. The TRPM8 receptor channel detects temperature changes, which relate to how quickly or slowly the eye’s tear film evaporates surface tears. When these two receptors are out of balance, dry eye symptoms will occur. Over time, if not diagnosed and treated, there can be permanent eye damage. Only a complete exam from an eye doctor can figure out what is wrong and give the right treatment for your eyes. This is very important if you are experiencing any type of pain and discomfort. 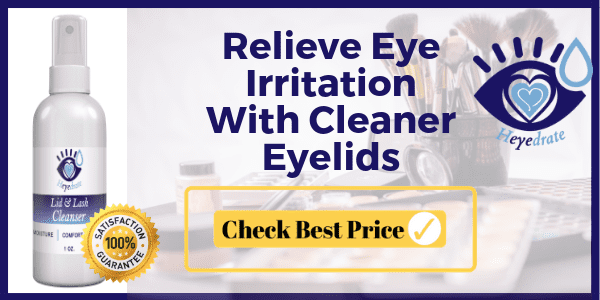 Environmental pollution can be a problem, not only for breathing issues, but also for the eyes, as chemicals are hitting the surface of the eyes. This can present dry eye symptoms, but in some cases, also present watery eyes because of the irritation. The outcome from effects of these health problems is that you do not have enough tear production, or the chemical quality of tears is uneven and poor. You need an equal combination of body-producing oil, water, and mucus to produce healthy tears, according to the American Optometric Association (AOA). 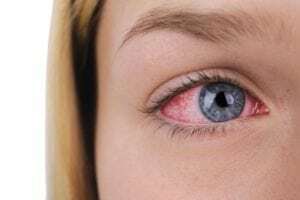 While a visit to the doctor can tell you exactly what is wrong with your eyes, here are some tips to try to help yourself avoid or reduce Dry Eye Syndrome. First, we go over some of the situations we would normally find that can cause Dry Eye Syndrome. Aside from health issues, there are many other causes of Dry Eye Syndrome. We lay out most of them in the following list, but only an ophthalmologist or optometrist can tell you if you have more going on than digital eye strain, an allergy, or something more serious that needs to be addressed. The immediate solution is to drop the lighting on your screen to an acceptable level, such as level 5, at half way on the line. You may feel it is a little dark, but it will be far more soothing to the eyes. If your eyes are tired, achy, and your view is slightly blurry, try dropping the light level to see if you feel immediate relief as your eyes see the reduced lighting. Not many people realize that such a simple fix can take care of dry eye discomfort so easily. As most pages on a screen are black type on a white surface, this has to do with a white page reflection (or glare) on your eyes’ receptors. If your eyes feel better very quickly after reducing the screen brightness, then you may have a case of digital eye strain. If you have allergies, your digital eye strain can be compounded to a higher level of discomfort. Not everyone knows that digital screens emit blue light which, over many hours, can take a toll on your eyesight. But this is more important for a nighttime situation when you are working late into the night. Your best immediate solution is to buy eyeglasses that cut blue light emissions. Even if you have 20/20 eyesight, you can still wear glasses that have no magnification but cut blue light emissions from all digital screens, including televisions. This will be particularly important for viewing digital screens in the evening hours, as discussed in the next section. Many of us had to read a lot of textbooks in high school and college, and when you have a lot of homework to get done, that much reading done late into the nighttime hours can wreak havoc on your eyesight. Lighting is a big culprit in this situation, as light hitting on white pages refracts back into the lenses of your eyes. With many textbooks now in digital format, dry eye symptoms can also develop from using digital screens to study, watch training videos, and write papers. Over time, this can cause error in your eyesight. Have your eyes tested to know if you need prescription glasses, especially if you have been experiencing blurred vision. Again, investing in blue light-blocking glasses may help you with this problem even if you do not need magnification. If you wear contacts lenses for long periods of time, that can cause irritation. Check to see if you can use different lenses from what you have now. There are contacts dry eyes, constructed with permeable soft polymers, which are specifically made for Dry Eye Syndrome issues. 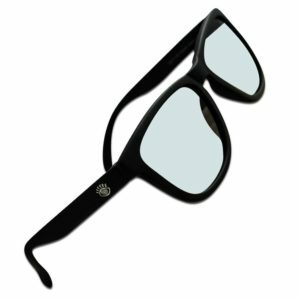 They are softer than the usual rigid lenses and hold water, making it easier to keep your eyes hydrated. They also let more oxygen through to the cornea to help your eyes stay aerated. Yet, you should get a set that does not hold too much water or else your eyes will be dry again. Check with your optometrist to find out the best brand to use for your specific symptoms. 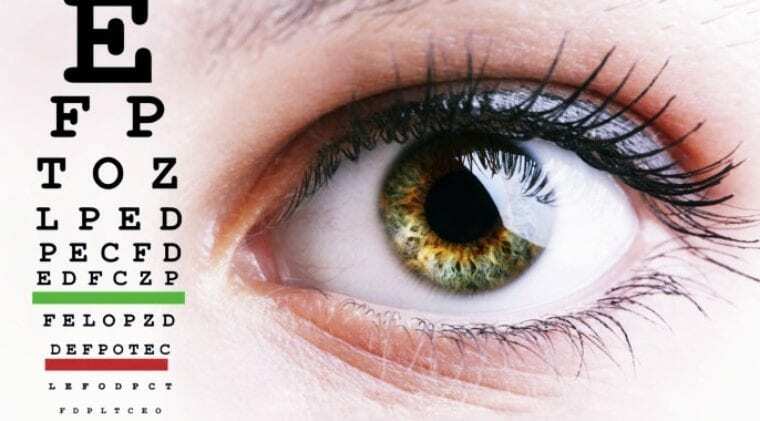 Your doctor will know the best one to use for your eyes and your individual situation, although we recommend daily disposable contact lenses in our practice, as they have proven to be the best for those with dry eyes. If you have problems with dust, animal dander and hair, perfumes and other scents, you may have allergies which compound your dry eye symptoms. You may also have reactions to cleaning solutions at work, and any construction work close to your area will send out dust and other building material particles that irritate your sinuses and eyes. Even workplace plant decorations, which liven up the surrounding environment, can be problematic for you. Controlling your workplace environment can be somewhat difficult to manage. You can ask for plants to be moved further away from your desk if you are working in a cubicle. You can also dust or wipe down your desk and shelving units to remove dust and earlier chemical solutions applied by the cleaning company. Leave a sign at your desk for them to not clean your area except for vacuuming the floor. Avoiding diuretics may be difficult if you are taking medications for high blood pressure, as these pull out your body’s excess water and salt through your kidneys. This reduces the fluid pressure in your blood vessels so that your heart can pump blood easily throughout your body. Ask your doctor what foods you can eat which help with hydrating your body as well as how much water you can drink, despite taking prescriptions that remove it. This can be an intricate dance of removing body water, then adding in more water. Yet, you do not want to become dehydrated, so work out a plan with your doctor on how to safely navigate the road to better hydration. In general, as you begin your journey of finding out what is causing your dry eye symptoms, start with drinking more water than you normally do. If you find you have dry eyes often and your mouth is dry too, chances are high that you are not drinking enough water. As a starting point, we recommend drinking half your body weight in ounces of water per day (a 150 pound person would drink 75 ounces of water). Reduce your intake of coffee (caffeine), tea, and alcohol if you drink a lot of either one. Any caffeinated drink acts as a diuretic on your system. Keep a reusable water bottle at your desk everyday so you can drink as much as you can. Do not wear makeup of any kind close to or on your eyelids if you are experiencing dry eyes. This is a given if you have any eyelid infections, cysts, or an ingrown eyelash hair, which is uncomfortable or painful. If you develop a discharge from your eye that is unusual, go directly to the doctor and get medication. 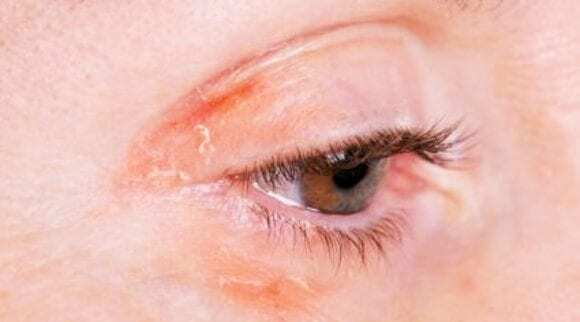 Eye infections that are left too long could ruin your eyes beyond repair. 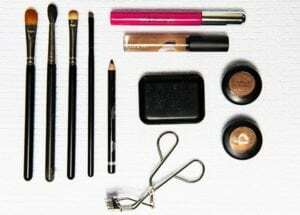 If you do have an eye infection, replace mascara, eyeliner, eyelid pencils, and anything else that has recently touched your eye area. Mascara, particularly the clumping kind, can make things very uncomfortable if a little clump of it gets into your eyes. Make sure you can get it out and use saline or drops to flush it out as needed. You are better off just not using any makeup at all until your eyes are healthy and comfortable again. The same is true with eyeliner, particularly if it is the kind that flakes after a while. Just avoid it altogether. You can use moisturizing eye drops as a quick solution to painful dry eyes, but they will never be a cure for your dry eyes. Make sure you do not touch the tip of your bottle to your eyelid or directly on your eyeball. If this accidently happens because your hand is not steady enough, then clean the tip off before putting the lid back on. Avoid getting any bacteria on the bottle which can contaminate your eye solution and, eventually, your eyes when you use the solution again. 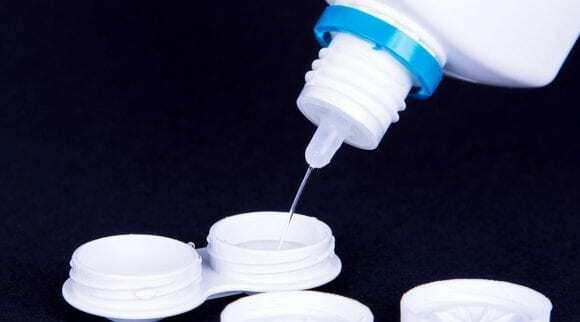 Dry eye drops help make your eyes feel better quickly, adding the moisture your eyes need to stay supple. Many popular eye drops have different solutions for different problems such as red eye, and you do not want to use the red eye types. Make sure the one you choose says it is a moisturizing solution or is labelled as artificial tears only. Keep your hands as clean as possible in case you need to touch your eyes for any reason such as adding your eye drops. Keep packaged sterile hand wipes at your desk so you do not have to get up so often to wash your hands. There are also three types of eye drops: drops that have preservatives, drops with no preservatives, and prescription eye drops. 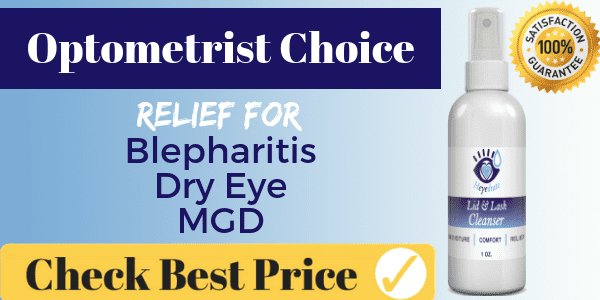 The first two types are available to buy over the counter, while the third must be prescribed by your optometrist based on the level of dry eye symptoms or other connected issues. You can choose between the first two based on whether you have any eye sensitivities to preservatives, although we recommend all of our patients use preservative free eye drops if they’re going to use drops at all. Drops with preservatives prevent bacteria growth but may also irritate your current dry eye symptoms. If you find that your eyes are more irritated, then switch to a non-preservative solution. These are great to use during a break in your day, or you can make it a habit of using before and after work. Many have beads inside the mask which you place in the microwave or freezer before using. Most require that you place the mask over your eyes while resting in a reclined position. Cold helps with swelling reduction around the sinuses and your eyes, and warm therapy helps for those with meibomian gland dysfunction (MGD). Check how long the mask you use should remain in place, but typically it is about 15 to 20 minutes. Never use it overnight during your sleeping hours, although you can use it before you go to sleep. 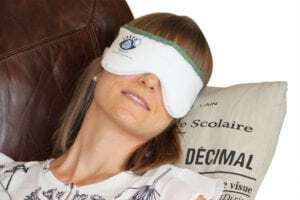 When you have inflammation of your eyelids, try a warm compress over your eyes while you relax for about 10 to 15 minutes. This helps particularly when there is dry air around you, and your sinuses along with your eyes are dry too. If you have allergies that compound your situation, the warm compress over your eyes will feel good as pressure is released in your sinuses. One little trick you can try is to breathe through your nose while holding the warm compress to your nostrils. That will get moisture right into your nasal passages and lubricate those dried up passages. Should you buy blue-light blocking eyeglasses? This may be a good choice if you must work on your computer late into the night. 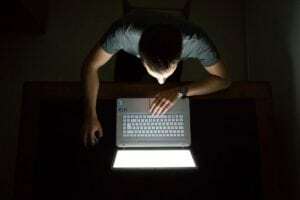 According to the American Academy of Ophthalmology (AAO) in 2017, blue light from digital screens will not damage your eyes, but using any of your digital screens close to going to bed can disrupt your sleep. The body’s natural sleep cycle, the circadian rhythm, is disrupted because of the light from your screens. The ability for the body to produce melatonin, a natural sleep-inducing hormone, is also reduced if working late into the night on digital screens. The idea that blue light emissions from digital screens are harmful to your eyes, to some degree is still up for debate. Research continues to look at the effects of prolonged blue light emissions particularly during the daytime. However, research does show that working with digital screens at night does cause a problem, so use blue light blocking glasses then. Digital eye strain, which can cause Dry Eye Syndrome, is due more to viewing your computer screen, phone screen, and tablet screen for hours on end throughout the day. There are other ways to solve the problem of dry eye symptoms which can occur from constant digital screen viewing. You can lower the brightness level of your screen to halfway and find immediate relief. Sometimes digital screens are just too bright on the regular factory setting. When you sit for any length of time studying the screen while reading articles and posts, you may discover that holding your head and eyes in one position causes you to blink less. This can be true of reading black print on white pages in books for long periods of time, which can give you headaches as well as strain your eyes. Make a conscious effort to blink more often, so the surface of your eyes will stay lubricated. Add moisturizing eye solutions to alleviate your dry eye symptoms. Once an hour, do a routine of deep breathing to make sure you are getting enough oxygen into your system and your eyes. Also look away from the screen every 15 to 20 minutes, just to give your eyes a break. Add in eye movements to energize your eye muscles and then get back to work again. THe popular 20-20-20 Rule states that, every 20 minutes, you should look up from your computer, 20 feet away, for 20 seconds. You will also need blue light blocking glasses if you work into the night after everyone has gone to bed. For adult family members, this is sometimes the only time available to work on the computer, catching up on work, or for you to write that best-selling novel you have in your head. Look for glasses that have at least 95 percent blue light blocking to get the most benefit at night (these lenses will be very yellow). At nighttime, your body needs to produce melatonin to encourage sleep, so if you use these yellow glasses, you will sleep better than if you had not used them, according to the Harvard Health Letter. Get out into the sun daily as this is very healthy for you in producing Vitamin D from daily exposure to the sun. Vitamin D helps absorb calcium and phosphorus which are good for your bones. Your immune system also gets a boost, and sunlight exposure boosts natural serotonin, a hormone that can brighten your day and enhance a happier mood. Get at least 15 minutes of sunlight several times a week to get that Vitamin D benefit, enhance your mood through serotonin production, and fight stress, anxiety, and depression. If you love to read and still read your favorite printed books, you may get headaches and achy eyes from reading for hours at a time. This is like looking at digital screens with light levels that are too high. Glare from the white pages of a book can irritate your eyes after a while, unless you have a lamp with an adjustable brightness level. Also, we blink much less when we read or work on the computer, and this can further irritate your eyes. Your light should be placed on one side or the other, by your shoulder. Direct lighting should fall at an angle of 35 to 60 degrees on the pages of your book. Your lamp should also be adjustable height-wise in case you need more (or less) direct light. Surrounding indirect light evens out the lighting environment being directed on your book. Do not ever read your books in darkness with only a light beaming down on your book pages. There should be light elsewhere in the room to alleviate drastic lighting changes in your surroundings. If you are reading books at night, even into the early morning hours, consider using the blue light blocking glasses you may have already bought to use while at your computer screen. Using these may help you with reducing glare. Add a humidifier in your room to help with keeping moisture in the air. During very dry days your eyes have trouble picking up any moisture in the air, so you will have to provide it yourself if prone to dry eye symptoms. Dry air can happen during the winter months when running your heating system which dries out air quickly. Add a little moisture and your eyes will feel much better. An added side benefit is your skin will be less dry too. Make sure you slow down any ceiling fans or portable fans you have in your home. At work, you can ask if they will slow down any ceiling fans in the office. You can also bring a little portable humidifier and place it on your desk, so you have moisture in the air around you. We next look at several case studies done by doctors over the last 10 years to see what certain conditions were looked at and what management solutions were given to the patient. A Specsavers patient in the Netherlands in 2016 complained that her eyes were suffering less tolerance in wearing her contact lenses. The patient had been wearing contacts for 25 years. Five years ago, her earlier doctor (now retired) prescribed the use of soft monthly lenses. 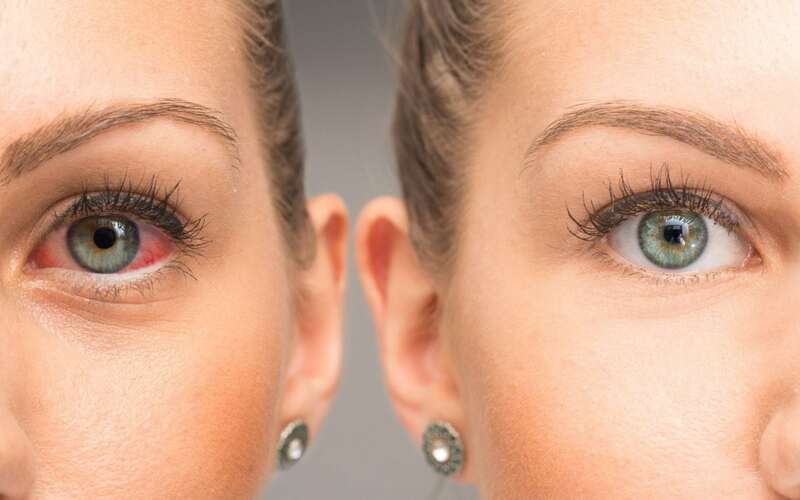 Recently, she began having trouble wearing her contacts and her complaints showed she had continuous eye irritations along with occasional blurred vision. Eye drop applications were not helping her situation at all. Then she reached a stage where even removing lenses and being outside, she still suffered irritation. Whenever it was windy or there was sunshine, her eyes would water. Her medical profile showed she was in minor stages of menopause over the last four to five years and was also experiencing arthritis, particularly during cold, rainy days. A diagnosis back in 2007 showed she was hypertensive, as well as sensitive to specific substances. She had a history of allergies and her triggers were dust mites and cat hair and dander. She was under a great amount of stress from work and was taking Seroxat to alleviate depression caused by stress. Other medications taken were Cetirizine, an antihistamine for allergies, Metoprolol and Simvastatin. The case study shows what testing was done to figure out the state of her eyes. The results showed she had no blepharitis (eyelid infection) present and only mild meibomian gland changes, and her fluids were clear. She did have mild conjunctival hyperaemia, which is seen in those with allergies and other issues. Her treatment was to stop wearing contacts for a few weeks and then be fitted for new contact lenses. As she did not like wearing her glasses, she could wear the lenses for special occasions only. She was then fitted with daily disposable lenses for those special occasions and could also wear one of them in her reading eye so she could continue reading. She was told to take breaks from the computer screen on a regular basis and to drink lots of water for hydrating her eyes. She was limited to four hours a day in wearing her contacts and would likely wear the new glasses prescribed for her when needed. A month later, she came back for her follow-up, and she was approved to continue in the same fashion for the next three months until the next follow-up visit. The management system was to continue the same methods of taking care of her eyes based on her specific situation of working with computer screens. 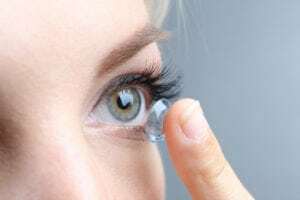 She was to continue taking screen breaks, avoid air conditioning in offices, cars, and planes, and carefully watch her time span in wearing contact lenses versus the new glasses when needed. Of note in the first care visit, she was instructed to drink more water, which is key to hydrating the body and the eyes. Water is good for nearly every medical treatment, although there may be occasions to not drink so much (always talk with your doctor). Water helps with flushing body toxins, particularly when going through the liver and other body organs. Hydration and aeration (i.e. deep breathing sessions) are important for the body’s cells and blood circulation, which also includes that of the eyes. She also had sensitivity to wind or blowing air such as air conditioners and fans, which would dry her eyes out further. In the case of flying and not using contact lenses, it may be a situation of the change in cabin pressure which might affect not just the eyes but also the sinuses due to allergies. Therefore, it is wise to not wear contacts that could become problematic during the flight. As most planes have air conditioning today, you have an overhead control to turn off air blowing directly on you if it becomes irritating to the eyes. In our second case study, we look at a research project published in 2015 in Wuhan, China, and conducted by Yang et al., whereby 789 Dry Eye Syndrome patients who had been in treatment along with 1,119 health family members of these patients (N=1908), underwent standard ophthalmologic examinations and slit-lamp evaluations, tear film breakup (TBUT) measurements, and the Schirmer test with corneal fluorescein staining. Demographic and lifestyle environment information was also collected, and Dry Eye Syndrome characteristics were diagnosed based on responses to a questionnaire. Those patients included in the control study had to have experienced Dry Eye Syndrome only in the past six months. 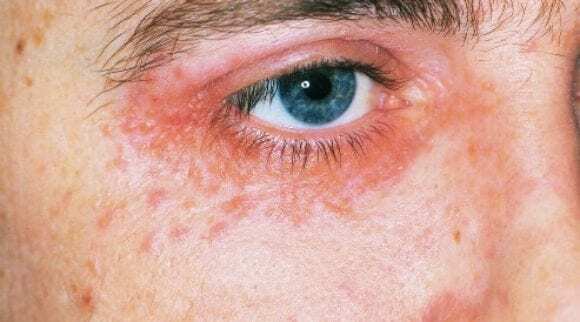 Those with extensive issues such as lesions, infectious conjunctivitis, glaucoma, and other more serious issues, including surgeries within the last six months, were excluded. Complete workups of what prescriptions the participants were taking and medical histories such as thyroid disease, diabetes, hepatitis, stress disorder, depression, sleep apnea and more, were also included. Daily activities such as hours spent in front of a computer screen, the use of contact lenses, and how often participants consumed food rich in Omega-3 fatty acids, such as flaxseed and fish oil, were taken into account. Without getting too detailed on analysis of the outcome, the following information was provided highlighting various pointers. Diabetes is well known to cause blindness in some people (due to diabetic retinopathy), and this group is also at high risk of getting Dry Eye Syndrome. With early intervention and changes in lifestyle and diet, including consuming Omega-3 fatty acids, the propensity of future blindness and Dry Eye Syndrome can be reduced. Patients with Hepatitis C are more at risk of Dry Eye Syndrome than those with Hepatitis B. Hepatitis C can also be detected in the patient’s tears, and the medication used to treat Hepatitis C (α-interferon, ribavirin) may impair the tear production, causing squamous metaplasia, or a change of cells in the surface lining to a squamous morphology or shape. Women going through menopause or in postmenopausal status may receive hormone therapy which can have an adverse effect on the eyes, as mentioned earlier. While potentially leading to Dry Eye Syndrome, research shows that estrogen replacement therapy can affect the lacrimal glad of the eye and reduce or disrupt normal tear secretions. The same is true of antihistamines used for hay fever and various allergies. What is a positive outcome is including the use of Omega-3 fatty acids and oral vitamin supplementation with Vitamin A, beta-carotene, Vitamins B6 and B12, Vitamin C, Vitamin E, and Vitamin D, among others. Always check with your doctor as to what supplements, such as Vitamin A, E, and D, can be taken together or not. Natural foods with these ingredients are always encouraged, but added supplementation under a doctor’s care can help reduce or end the potential for Dry Eye Syndrome ever developing, or at least reduce its effects. If your dry eye symptoms are not too severe, you can choose to try home remedies to help alleviate your discomfort. One is using warm compresses, which has already been mentioned. After you use your compress, gently massage your eyelids and then use an eyelid clenaser (avoid baby shampoo) which will help maintain clean eyelids and a healthy ocular surface. You can use Heyedrate Lid & Lash Cleanser, made up of all natural and organic ingredients, to gently wash your eyelids and lashes. 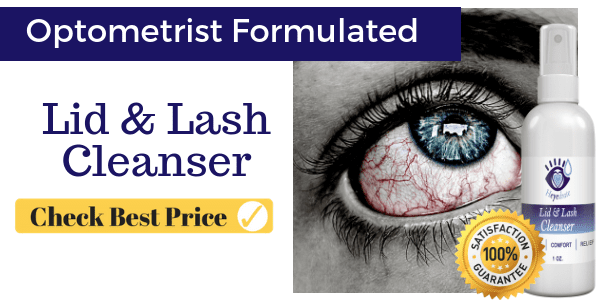 This product is great for dry, inflamed eyes and eyelids, especially when you have blepharitis. Blepharitis is a situation where small oil glands at the base of your eyelashes become clogged. 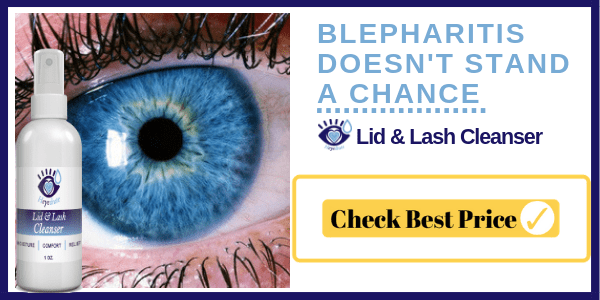 This can be painful when not treated and in some cases, you can lose your eyelashes. Using Eye Love’s lash cleanser ensures your eyelids are soothed with a hypoallergenic, antibacterial, natural spray cleaner to remove dried mucus, relieve dry skin conditions, eczema, and itchiness. Use it in the morning and evening or as needed, by spraying on eyelids after makeup and other debris is removed. Gently massage the solution into your lashes and eyelids. You can even use this product on wounds elsewhere on the body to fight bacteria and inflammation! Allergies aggravate Dry Eye Syndrome, and you can help the environment of your air at home by using a portable air filtration fan. 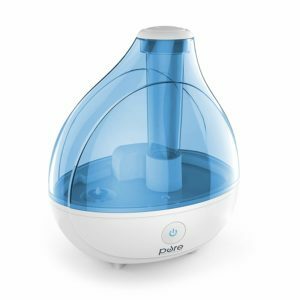 This assists in reducing any air irritants such as tobacco smoke, pollens, pet dander, and other problematic particles that can float around in your air. Also use a high-quality filter in your air conditioning system and be sure to change it once a month. If you must use overhead fans to stay cool, be sure to clean the blades often, such as once a week. The rotation process encourages a collection of dust on the blades that periodically drop off when left unattended for a long time. Keep up with dusting in your home and use a microfiber cloth that dust will cling to, rather than just using a feather brush that merely shifts the dust around in the air. Collect the dust instead of dispersing it. Vacuum your rugs regularly, as dander, loose pet and human hair easily collect in the fibers along with every other microbe floating in the air. Avoid using any noxious chemicals in your household such as bug spray. There are natural solutions available you can use for the problem you are having. 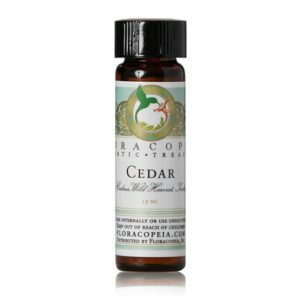 You can try drops of cedar oil on countertop edges away from where food will be, or where pets cannot get to it. Make sure you are not allergic to the scent before applying in multiple places. Do not overdo the application as the smell can become overwhelming when too much is used. Apply just enough to give off a pleasant smell. Always wear gloves and use cotton swabs to apply the oil. Your diet may need to change to help with adding those nutrients that will help reduce Dry Eye Syndrome. We spoke about Omega-3 supplements and flaxseed, which can be ingested as an oil or ground up. Chia seeds and walnuts also have fatty acids. In the fish family, eat more salmon, tuna, sardines, and other fatty fish. When it comes to selecting salmon, be sure it is labeled as wild caught from Alaska. Hydrating your body regularly with water is very important to supporting overall good health, keeping your skin supple, flushing out toxins, and promoting blood circulation. You can consider it as the best medicine available for your body’s system and it is free, at least in most places. Hydrating yourself regularly is a major part of successful dry eye treatment, while lack of it ranks high on the list of dry eye causes. Earlier in our first case study, the doctor recommended that the patient drink as much water as possible during the day. If the eyes feel dry and itchy, you can logically assume that other parts of your body also need more water. Also add water by using warm compresses when you need to, to alleviate dry eyes and skin and use a portable desktop humidifier to keep nasal passages open. Those who engage in any heavy or rigorous sports activities should hydrate throughout the workout sessions. More on this below. Water is also naturally present in cartilage found in any joint in the body, including the spinal disks. As joints help to absorb the shocks of jumping and landing, it is important to support that absorption by hydrating for better physical efficiency. At the highest level, cartilage should have 80 percent water levels to be considered healthy. Water also produces saliva which is important for helping us swallow and digest foods. Mucus is also formed by water and directly relates to our subject of Dry Eye Syndrome when there is not enough water in the body. Mucus is also found in the nose to protect the linings of both the nose and nasal passages. Once food is digested in the system, the bowels also need water to pass waste out. When there is not enough water, constipation occurs, and an acidic stomach can also develop ulcers along with heartburn (See IBS section). Your liver needs help with these processes, specifically with drinking as much water as you can manage, to help flush out remaining toxins the liver cannot get rid of on its own. Reduce or cut out alcoholic beverages as well as soda drinks, as neither help your system. According to the British Liver Trust, research findings show that drinking coffee is good for your liver health, lowering the risk of liver disease, along with fibrosis and cirrhosis. Be moderate with your intake, though, if you are experiencing Dry Eye Syndrome. The caffeine in coffee can be drying to the eyes. Water is also vital for supporting and cushioning the brain and, when dehydrated, the lack of water can interfere with thinking and effective reasoning processes. 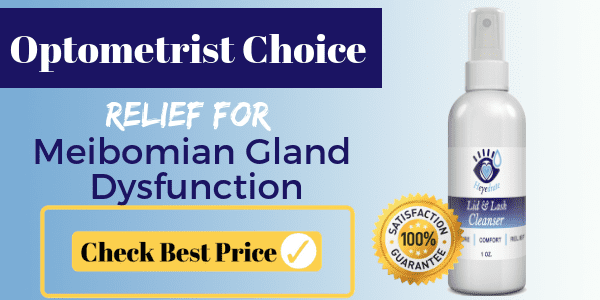 As hormones and neurotransmitters are also manufactured in the brain, including the pituitary gland, water becomes essential to the whole body’s balanced functioning process. Water is essential to blood flow and the distribution of oxygen throughout the body. When there is not enough water in the bloodstream, blood becomes thicker and cases of high blood pressure can occur. Blood flow also slows down, and it takes longer to get minerals and other nutrients to dissolve and get to where they need to be. Kidney damage can occur when there is not enough water to flush out toxins, which can lead to painful kidney stones. While we have heard that drinking eight glasses of water a day is good for us, the Institute of Medicine estimates 13 cups of water for men and nine cups for women daily is better. We recommend drinking half your body weight in ounces of water per day (100 ounces for a 200 pound person). You can find out more information here at the Center for Disease Control and Prevention. One way to know if you are dehydrated is if your urine is dark yellow. Your urine should be a light yellow to clear color. This also helps with avoiding urinary tract infections, which can be very painful if not cleared up quickly. It is important to stay on top of regularly hydrating your body. The state of your health depends on it and when you slip, you can soon see some of the outcomes, such as getting Dry Eye Syndrome and noting what color your urine is. Also note if you are having constipation issues, as this may be an indicator of a bigger problem with hydration. When people have an episode of irritable bowel syndrome (IBS), which can present as diarrhea (IBS-D) or constipation (IBS-C), most will feel they do not want to eat or drink anything while suffering during the episode. Yet, water is vital to recovery and even more so with electrolytes included. With IBS-D, people need to replace fluids to avoid dehydration. If you have this issue, drink a cup of water, preferably with electrolytes included, after every bowel movement. For those with IBS-C, water is needed to promote the stool moving through the bowel. Constipation is an outcome of a dehydrated bowel system, so drink as much water as possible. By now, you realize just how vital taking in water regularly (to hydrate all parts of your body) is to your health. When you are lacking in water anywhere in your body, it will show up in one form or another, including Dry Eye Syndrome. If you start having dry eye symptoms, the first step you should take is to start drinking lots of water. You can do that before you even get to the doctor to get an exam. Develop a routine for drinking water whenever you feel you need it and set times of the day to drink it. It is rare to overdose on water, although it can happen under certain conditions, so this is something to be aware of. Water is needed, but so are the essential electrolytes that the body needs to stay balanced. There are electrolyte-infused water drinks that you can buy if you are engaged in heavy exercises or high-performance activities and taking in a lot of fluid. The classic version of Gatorade is one drink that has electrolytes included that will stabilize the body better than drinking plain water, although we recommend avoiding sugary sports drinks unless you happen to be a professional athlete. Either one is needed to have on hand when engaged in high-active sports. These become vital to have during hot, dry days where exposure to the sun can take a lot of energy out of you. We are a more sedentary society today, as many of us spend long hours in front of a computer screen to make our salaries. It is easier to stay seated than to get up and exercise, but it is necessary to move your body, even if it is simply walking. If you have not been exercising, start out very small and begin building up your exercise routine. If unsure of how to begin, think about joining an exercise club and getting a coach. A coach can guide you along a path that challenges you but does not push you beyond your limits until you are ready. The worst thing you can do is do too much exercise on the first day and hurt yourself. At that point, you must stop and recuperate until ready to start over again. Exercising is good for blood circulation as the blood will flow faster when your heart pumps faster. Blood flow, as we have mentioned earlier, carries oxygen and water to all parts of the body to deliver nutrients and refresh our physical system. Find ways to make your exercise program fun so you will continue to do it. Is there a place close by, such as a park or nature reserve, where you can walk regularly (and safely) and enjoy the outdoors? Bring along your music on your smartphone and wear Bluetooth earphones so you do not have to deal with cords. Do make sure your phone is fully charged, however, or use another device to carry your music on so you can listen to it while walking or running. As we grow older, so do our parents. We may notice less alertness and mild dementia as time goes on. They are likely to forget to drink water, which will be helpful in reducing such outcomes as forgetfulness and clear reasoning, along with the ability to make effective decisions. Dehydration can affect both mental and physical stability, so help them have a better quality of life through hydration. Make sure your elderly folks drink a lot of water and that you take them for walks too. As you can see, hydration is so important for overall health and health of the eyes!